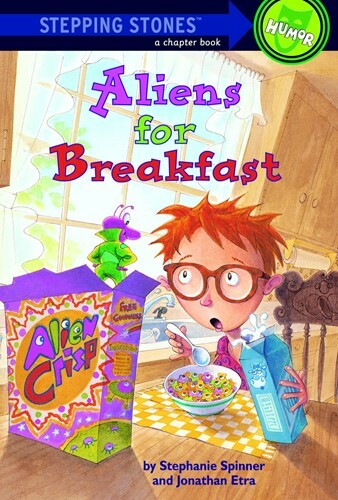 It's been ten years since Richard Bickerstaff sat down to breakfast and an alien climbed out of his cereal bowl! Join Richard and Aric, a tiny, wisecracking creature from the planet Ganoob, as they battle to save the world from evil aliens in Aliens for Breakfast, Aliens for Lunch, and Aliens for Dinner. We're reissuing the trilogy with brand-new covers sporting a space age 10th Anniversary logo. Now a new generation of readers can experience the fun and adventure that won these books rave reviews and loyal fans! From the Hardcover edition.